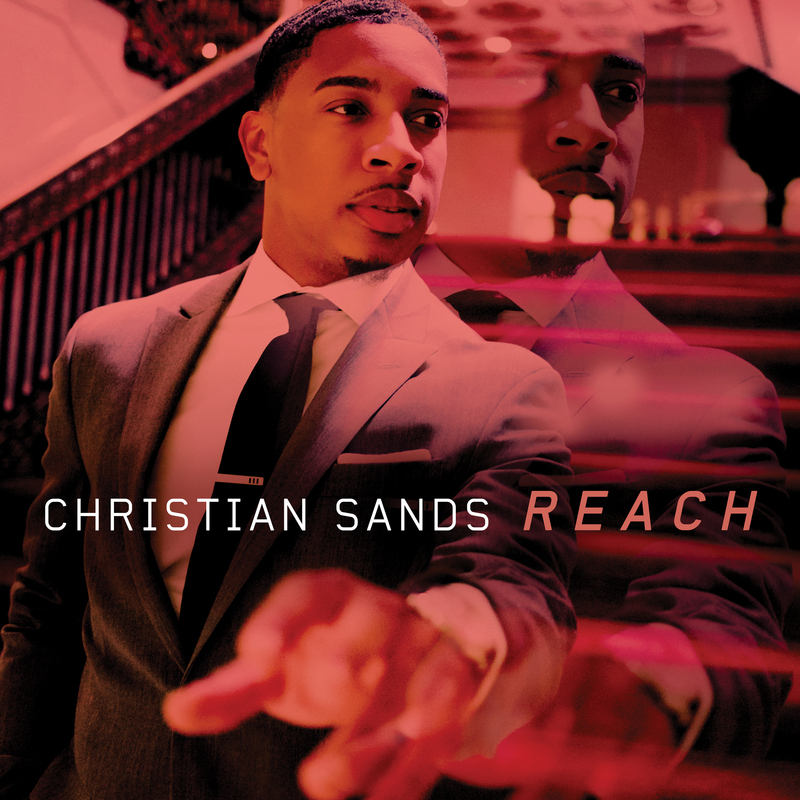 Christian Sands | Reach - TheUrbanMusicScene.com | Music Reviews! In the pursuit of a music industry career, it would be a huge advantage for those passionate musicians to start out young while diligently disciplining themselves in the process with proper guidance by veteran mentors. Composing his first piece at five and turning professional before teenage hood, Christian Sands wowed many fans and gleaming critics with his debut CD. The cover of Footprints spotlights a photo of the pianist as a fifteen year old walking down the beach, who would eventually be developing his own fingerprints with warm piano tones while carrying strong sense of jazz tradition. Despite his jazz training and performances with elite artists like Dr. Billy Taylor, the Preservation Hall Jazz Band and band leader/bassist Christian McBride, Sands was enamored by oh so many other influences from rock band Dream Theater, to the hip-hop poetics of A Tribe Called Qwest to electronic dance music. After several independent CD’s that focused primarily on the acoustic jazz trio format, the Manhattan School of Music graduate heads in a different direction for his major label bow, Reach, an exploration of his wide musical influences that never sacrifices the improvisational and sanctity in crafting solid jazz music. Reach is propelled by McBride, who sits in the co-production chair in a collaboration that rightfully showcases Sands’ sincere musical heart. A special nod to yet another idol, Chick Corea, launches Reach with “Armando’s Song,” offering one of several pieces that demonstrates Sands’ appreciation for the Latin flavors with his experience playing in local like-minded bands in a wonderful tandem of swing and a tight percussion duet between drummer Marcus Baylor and Cristian Rivera’s congas. The Latin kick continues with “Oyeme!”, a feverish session from the get-go powered by the pace pushing rhythm section of Baylor and Rivera. “Reaching for the Sun” shines in a samba driven, gently flowing solos from guitarist Gilad Hekselman and Sands. Tinches of gospel infiltrates “Song of the Rainbow People,” in a wonderfully pensive food for thought acknowledging people of all faiths, cultures and races should simply come together for the common good. “Gangsta Lude” delivers a clever concoction of hip-hop grooves and fusion jazz with Hekselman and Sands displaying opposing dynamics in their solos. Reflecting Sands’ time at the Manhattan School of Music, “Pointing West” bounces between bop and slices of funk rhythms with saxophonist Marcus Strickland providing sensitive counterpoint and solo work, while “Bud’s Tune” humbly honors the work of pianist Bud Powell. “Freefall” is pleasingly framed with sonic splashes in the ECM Records experimental mode — accented with more intense soloing than usual. While Sands’ compositional skills are second to none, his perspective of covers nonetheless impresses. “Somewhere Out There,” the hit ballad by Linda Ronstadt and James Ingram from the movie, An American Tail, slowly spaces piano chords and single notes with subtle accompaniment from Baylor and bassist Yasushi Nakamura before building to a crescendo in the second half. The Bill Withers’ classic, “Still Bill’s Blues (Use Me)” keeps that blues vibe but occasionally drifts into swing land before a proper closing from McBride on bowed bass. After all is heard and done on Reach, there are no sour notes to be found from Sands nor anyone else. Five out of five stars.